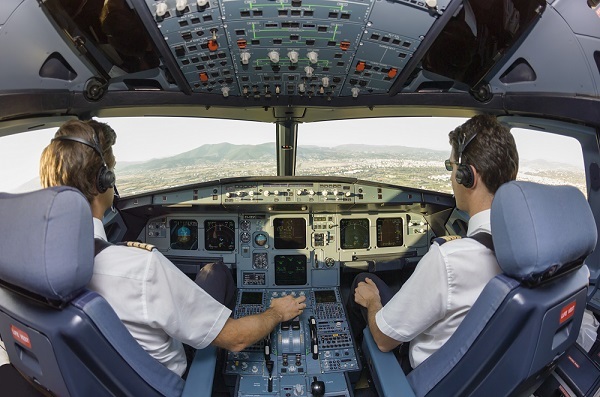 The roads to becoming a commercial pilot tend to take the same general direction, according to the ATP Flight School, which offers training throughout the U.S. The first step is earning a private pilot’s license, focusing on the basic operation of a single-engine plane. The next step is to add both instrumentation and multi-engine training to that. Once these have been completed, the pilot needs to become certified for commercial piloting. The certified commercial pilot must then train and spend time as a flight instructor, to gain relevant experience. As stated before, this usually requires acquiring at least 1,500 hours of flight time. Once these requirements have been met, a pilot is ready to apply for a position with a commercial airline and becomes eligible for one of the 6 figure salary jobs that are available to people without college degrees.